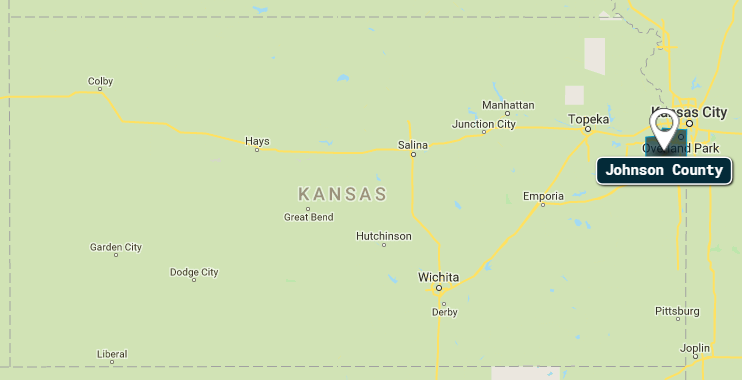 Like so many parts of the country, we in Johnson County, Kansas, have become increasingly concerned with the frequent number of encounters our criminal justice system was having with individuals exhibiting symptoms of severe mental illness (SMI). We recognized, early on, that this was a shared problem and began implementing a number of innovative solutions in response. What we were not doing, despite all of our efforts at diversion, was accurately assessing how many individuals were falling through the gaps and landing in our jails. Johnson County, KS, is home to approximately 580,000 citizens, contributing to about a quarter of the total population in the Kansas City Metropolitan area. Johnson County has 20 cities and townships, 17 law enforcement agencies, and two adult detention centers for a combined total of 1,081 beds, and staffing for up to 800 inmates. Last year, Johnson County Jail’s average daily population was 760. To aid in the gathering of our baseline data we utilized our Justice Information Management System (JIMS). JIMS is a fully integrated criminal justice record management system built by Johnson County in the early 1990s. It collects information about individuals from the point of booking to release from jail, or termination from probation. JIMS gives us the ability to cross-reference about 28 years of jail data and 24 years of district court case information. In 2016, we integrated an electronic version of the Brief Jail Mental Health Screen (BJMHS) into our jail’s initial booking process to capture baseline data. The BJMHS is a validated mental health screen developed by Policy Research Associates, Inc. to help jurisdictions identify individuals who might be in need of further mental health evaluation. It consists of only eight questions, takes about 3 to 5 minutes to complete, and does not require the person conducting the assessment to be a mental health professional. Prior to the implementation of the BJMHS, our data development only consisted of a one-way data match between our community mental health center and JIMS, an analysis of the people entering jail referred to services, and the number of detainees prescribed psychotropic medication while in jail. This method posed two problems: first, we believed it only captured our most vulnerable population, and second, our jail has a very high churn rate—65 percent of pretrial detainees are released within 48 hours or less. Without a mental health screen at the point of booking, many individuals were at risk of reentering the community before they could be connected to services. The implementation of the BJMHS changed that, and gave us an opportunity to connect these individuals to care. The JIMS department built a data extraction report, so BJMHS data can be extracted on demand and shared with partners system-wide. Because of JIMS, we have the ability to leverage BJMHS data with multiple datasets. For example, we track data by individual police departments, booking types, and charge descriptions, monitor lengths of stay for detainees with symptoms of severe mental illness, and determine the overall prevalence rate of severe mental illness. The BJMHS has provided us with a realistic assessment of Johnson County’s capacity to serve this population and the resource commitment required to conduct effective outreach. For example, Johnson County averages 42 bookings a day. Of those, there are approximately 10 individuals flagged for further evaluation. However, after drilling deeper into the data, we recognize only 60 percent of flagged individuals are Johnson County residents. The remainder reside in the greater metropolitan area, other parts of Kansas, or another state. Knowing this allows us to target our limited resources more effectively. And finally, the BJMHS has provided us with the ability to track key measures. In 2017, the overall prevalence of severe mental illness in our jail population was 27 percent. We had a total of 15,564 booking episodes and managed to screen 13,739 or 88 percent of them, resulting in 3,686 recommendations for further evaluation. The average length of stay for a pretrial detainee flagged for further evaluation was 24 hours longer than a detainee who was not flagged. We began our outreach efforts to connect people to services in March 2017. When a person needing further evaluation is released, JIMS sends an automated email notification to the Mental Health Center’s outreach workgroup in real-time. Our goal is to outreach individuals within 72 hours, assess their needs, and help ensure that they are connected to services. The outreach workgroup received 1,799 referrals on Johnson County residents in 2017 and we were able to reach 44 percent of them. On average, it took 29 hours from their release to reach them by phone. With regards to recidivism, we found that 1 in 3 individuals flagged by the BJMHS had a subsequent booking, compared to only 1 in 5 of the general population. Incorporating an electronic version of the BJMHS into our jail’s initial booking process has helped us gain new insights, leverage diverse datasets, and share data with community partners, so criminal justice and human service agencies can identify which individuals are having frequent contacts with multiple systems. Johnson County’s cooperative efforts have encouraged agencies to seek new opportunities for collaboration and service integration, resulting in new opportunities for cost savings and increased human outcomes. Robert Sullivan is the Criminal Justice Coordinator for Johnson County, Kansas. He provides support for the County Manager’s Office on all criminal justice-related matters and staff support for the Criminal Justice Advisory Council. Implementation of the Brief Jail Mental Health Screen would not have been possible were it not for the efforts of Jessica Murphy, Team Leader for the Johnson County Mental Health Center’s Emergency Services, Scott Lorimor, JIMS Department, and the Johnson County Sheriff’s Office. Please provide the Grant County Detention Center with information on this Mental Health Screening. Hi Michael, you can learn more about the Brief Jail Mental Health Screen here: https://www.prainc.com/?product=brief-jail-mental-health-screen. Thank you for your interest!